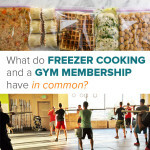 What do freezer cooking and gym memberships have in common? Find out what Kelcey learned when she started doing both regularly! 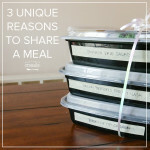 Think outside the box and share a meal with someone you may not have considered before. Reach out of your comfort zone or say a much needed thank you! 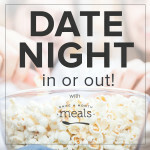 If you are looking to plan a special evening but struggling with the details, let us help you plan the perfect date night whether you stay in or go out. 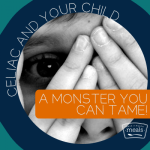 Celiac/Gluten Sensitivity and your child – A monster you can tame! As a parent, your biggest fears are being unable to control things with your children. OAMM Staffer Alyssa Stanley has found herself pleading and begging to find relief for her oldest daughter, Raegan. Come find out more of their story and how they are entering their journey for with a Non-Celiac Gluten Sensitive Child. This week’s post in conjunction with Celiac Awareness Month, Lisa shares how you can venture out of your gluten free zone and eat out! There is sick, and then there is Celiac Sick. In continuing with Celiac Awareness Month, Lisa shares the not so pretty sides and emotions to Celiac Disease. And we open up our community to support YOU! May is Celiac Disease Awareness Month and OAMM Staffer Lisa candidly shares her journey and diagnosis of Celiac Disease. 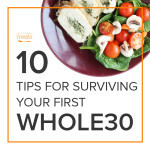 When I began Whole30, I really thought I knew how food affected me and where it brought comfort to me. What I didn’t know was that there was much more to understand and that by controlling what I put in my body for a disciplined 30 days, I would unearth the secret to one of my life-long ailments: migraines! Tricia completed her Whole30 journey! Find out what she learned, what she ate, helpful resources, and plans for moving forward. Heading into the last week of Whole30 and feeling as the experts predicted. More confident in what we are eating and less anxious to throw it all away in the end. See what we have learned this week and what we are eating for meals. We are just crossed the half-way point in our journey, and I am learning tons and eating lots of new foods. See what our crutches have been and how to plan a menu that will keep your palette happy in the absence of your past favorite ingredients. Well, it is day 11, and we are still on this Whole30 journey and staying strong. A reflection on the last week and menu plan for our coming week. My first few days of Whole30. What we have learned, why we are doing it and most importantly – WHAT WE ARE EATING! 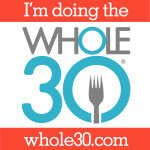 I (Tricia) am taking the Paleo plunge and doing the Whole30 challenge. If you have no clue what that is, come find out. If you have done it or plan to do it, let’s encourage each other! Here are my goals and first week of meal planning to get me started.